So we are half way through the month and I have already failed!! Big apologises for not posting yesterday. I shall be totally honest with you, I just completely forgot!! Day to day life sometimes takes over! Anyway, I thought I would write a quick post on the candle that I am loving at the moment. 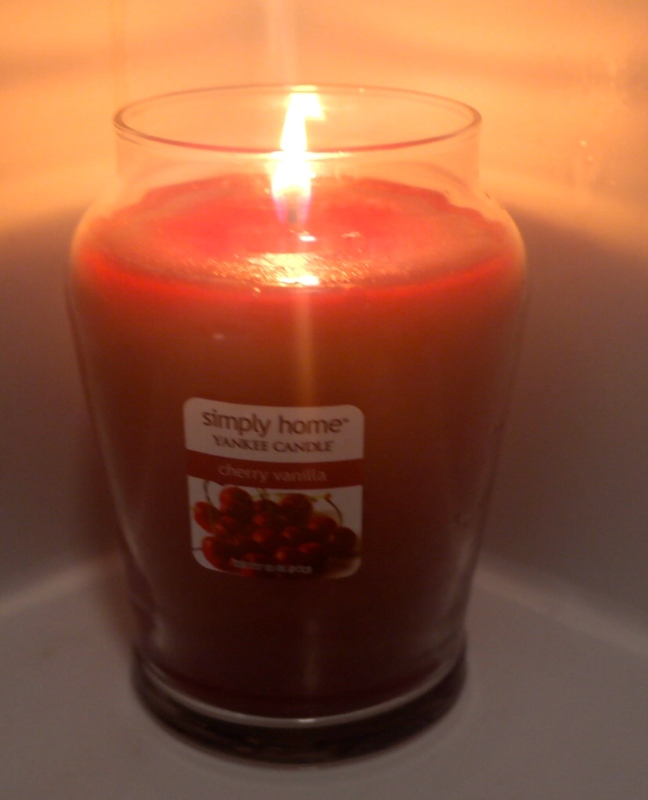 It is a Yankee Candle that goes by the name Cherry Vanilla. I know not very Christmassy, but I am not a massive christmasy scent type of person. This candle envelops two of my favourite scents, cherry and vanilla (obvs!!) I love edible fragrances, by that I mean scents that make me want to eat them!!! I have been using this at bath time along with the christmas Vanilla Brûlée range from The Body Shop and together it just fills my bathroom with a yumminess! I just want to eat myself!!! What are your favourite scents at the moment? Do you love the typical Christmasy scents?